Search engine optimization continues to be an exciting art that requires plenty of research and investment. Whether you’re spending time, money or both in order to produce results (and it’s likely both), finding ways to beat back the competition remains a top priority. Many brands are now trying to hyper-localize their brands in order to capitalize upon more refined search behaviours, with one of the main tactics revolving around the use of local keywords. Whether your brand is genuinely local or you just want to target specific markets, we’ll discuss three great tips for generating more local keywords and phrases that’ll get you seen in SERPs. Pinging your website to Google and other search engines via local keywords that you’ve brainstormed can sometimes work, but why not let something else do all of the thinking for you? Whether you decide to use something like this nifty Google Docs spreadsheet or a standalone software solution, there are many unique local keyword generation solutions available online for free. 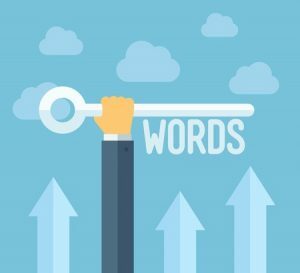 In addition, some premium local keyword generator tools also exist, but you probably don’t need to fork over any money to generate some pretty awesome keywords and phrases. Not all generated keywords will be ideal – some will be unworkable, others will be silly and a few will likely already be contested heavily – but a generator can produce at least a few viable options for you to consider. Everything is fair game in the war of hyper-local search engine optimization. You’ll likely find others competing for rankings within your broader geographic area, but how targeted are you truly willing to get. From neighbourhoods and subdivisions to local businesses that are not in direct competition, there are plenty of landmarks, streets and small communities within a larger area. You may be surprised to find out how few search results exist for these isolated, individual areas. With just a little bit of SEO and keyword research, you can begin to slowly but surely attract bits of traffic through the targeting of obscure yet potentially useful locations. The people who are visiting your website – whether they be commenters, customers or subscribers – may hold the key to unlocking more potential in local SEO. If you are selling products and services via the internet, then be sure to inspect what specific products or variations they are purchasing more frequently. This will help you to establish the basis for which categories of keywords could produce the best results. Likewise, if visitors are pinging your website’s forums or social media profiles with a particular set of words of phrases more often than others, then you may very well have some good ideas lurking around in plain view. Working to improve local SEO can be a challenge, but it is a rewarding one for many who have become exasperated with the difficulty regarding traditional SEO. How have your SEO strategies adapted since you first began? Tell us what lessons you’ve learned below in the comments.